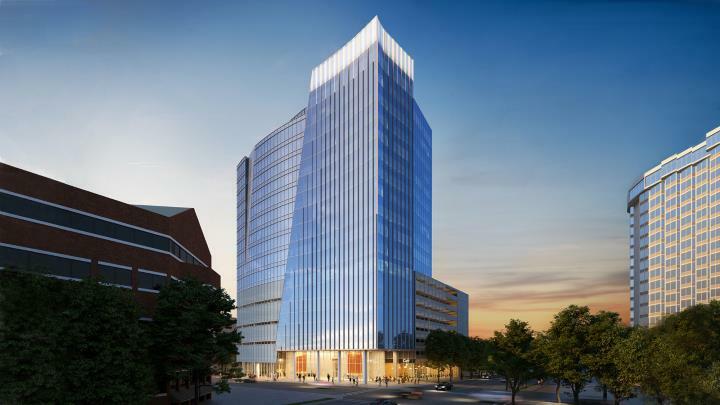 Rendering of the office tower at 301 Hillsborough. 301 Hillsborough should hold a special place in the hearts of longtime readers. Exactly 12 years ago, I had a blog post about plans for a 32-story tower at the site but the impending recession basically wrecked it. The former buildings on this site were demolished in 2007 and when no development plans took place, the site was made into a surface parking lot years later. It’s remained ever since. 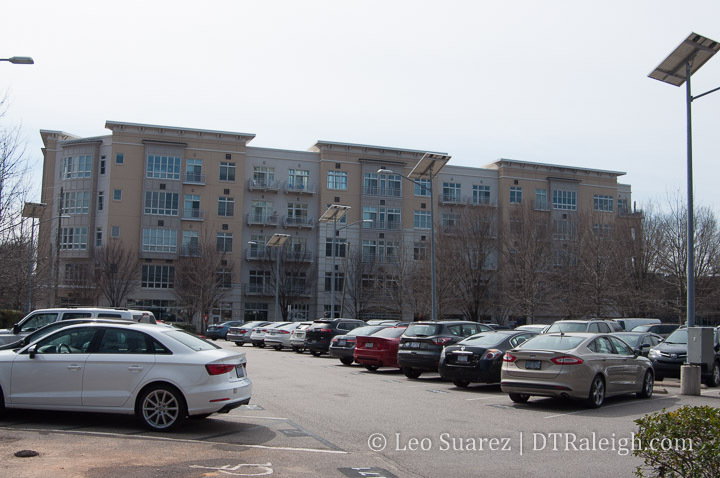 Surface parking at 301 Hillsborough in 2019. With the DRA’s 2018 State of Downtown Raleigh report saying that the downtown office occupancy rate is at 94.7% that probably means we have a healthy office market and developers can take some risk here. Great to see progress here on this block. It’s been a long-time coming. Posted here is the latest rendering of 301 Hillsborough, which comes courtesy of The Lundy Group. It was released a few weeks ago so it may not be new to some readers but I’m putting it here for posterity. For reference, in the foreground you’ll see a gray box of a building. That is where The Flying Saucer (and a plate with my name on it!) currently reside. Morgan Street is going from bottom center towards right center of the rendering. To see more detail, check out this November 2016 post. 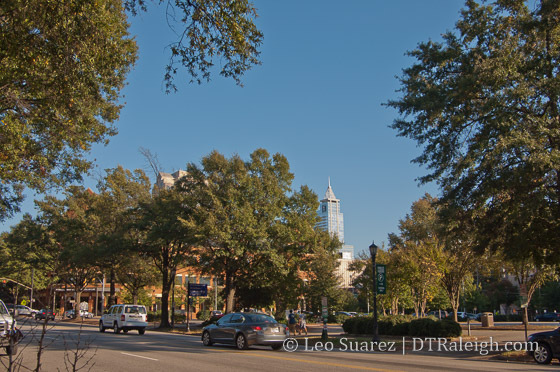 Looking at 301 Hillsborough Street from across Dawson Street. Recently submitted site plans for 301 Hillsborough give us some more details as to what might come for the surface parking lots along Hillsborough and Morgan Streets. The site plan shows a floor plan that will encompass practically everything on that block except for the 3-story brick building at the corner of Harrington and Morgan Street. You can kind of see the new building coming up against the old so perhaps it’ll blend right in. All the existing surface parking will be gone. In addition, the two-story house at the corner of Hillsborough and Harrington will also be removed. That house seems like a perfect candidate for a relocation. 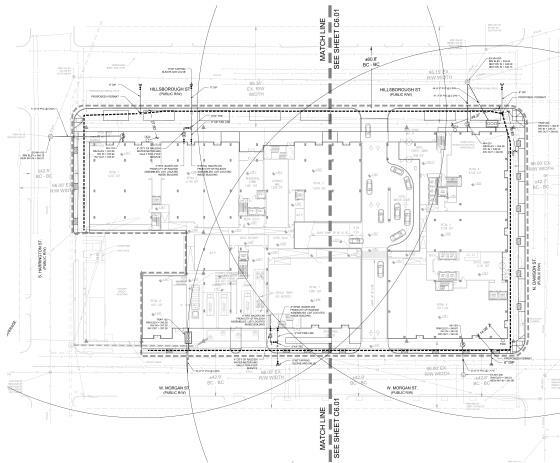 There are a couple things we can see from looking at the site plan. Remember that it is preliminary so things may change but from my assessment Morgan, Hillsborough, and Dawson will change dramatically. Service driveways, garages (trash, service unloading/loading, etc.) are planned approximately across from the ones in The Dawson. A parking garage entrance will go along Morgan also. In between, there will be retail space. Retail and lobby space only. There will be primarily retail and lobby space for the hotel and residential units. A parking garage entrance closer to Dawson. Overall, the parking garage entrances on Hillsborough and Morgan line up and on the inside of the building, there is a roundabout for hotel parking. You can also access the upper levels of the parking deck from here. 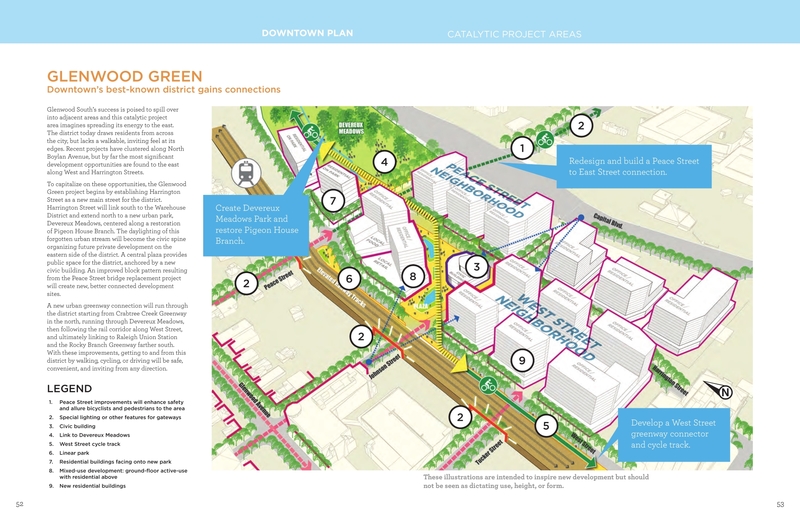 Just a detail, the site plan also shows 30 foot planters along the sidewalks of Hillsborough Street and with numerous bike racks. That’s a nice enhancement to the pedestrian space as well as supporting the dedicated bike lanes along Hillsborough Street. I’m definitely excited for this one as an infusion of this many different uses is sure to add activity on the streets and sidewalks to all different times of the day and week. Corner of Morgan and Harrington Streets. Flying Saucer will be getting lots of new neighbors. Another site plan map. Click for larger. During this week’s city council meeting, the zoning request for the renovated church building at 501 South Person Street was discussed again. 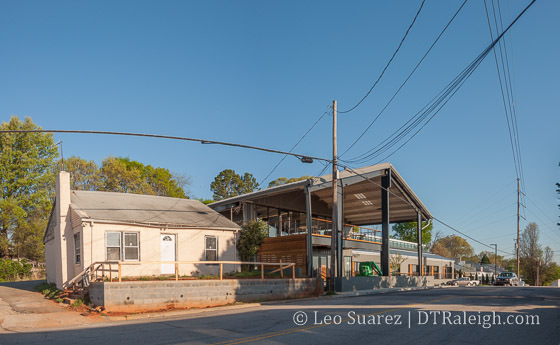 Also, a decision was made on how to sell the property at 301 Hillsborough Street. If the video doesn’t load for you, click here and jump to minute 24. This has been in the works for awhile. For a refresher jump to an older post about this. After numerous conditions were included, it seems that both the neighborhood and the owner of the future restaurant came to an agreement. The rezoning was approved. For more on this, I recommend jumping to “Prince Hall Rezoning Case Receives Council Approval” on the Raleigh Public Record. If the video doesn’t load for you, click here. 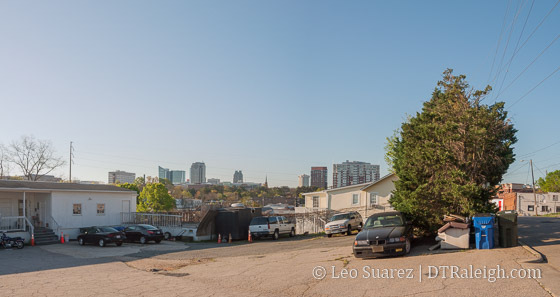 The discussion here was around how to sell the city-owned land at 301 Hillsborough Street. There were some great points put out by Councilor Stephenson around our downtown plan and how the city should use the land to get some of the planned suggestions. 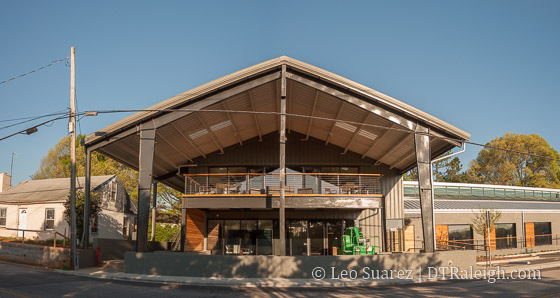 (like a grocery store) However, the requests were very last-minute and most of council moved to approve the process of opening up the land for auction. In this scenario, there is no way to sell the land to a developer that presents certain types of plans. It’s a money making endeavor only from what it sounds like. The money could then be used elsewhere. The current offer is for $3.1 million. I recommend email/RSS readers click through to the website to see the embedded video. If you want to become an expert on everything related to the 300 block of Hillsborough Street then this Raleigh City Council video is the one to watch. I actually enjoyed the discussion and if there is any amount of municipal geek in you, then this video is the one to watch to the end. If the video embed doesn’t show, go here to watch it. The short summary I can give is that the council wanted as many facts as possible before “letting go” of this city-owned land. Some felt that discussion should continue, at another time, to see how the land could be leveraged for community benefits, affordable housing being the most talked about. At the same time, with no plan or policy in place today, some felt that this particular piece of land should not be cherry picked into forcing those covenants onto it. It’s definitely a tough decision and while the rezoning for the 20-story maximum limit was passed there’s still a conversation to be had about how to “dispose” of the property. That will be handled in the Budget and Economic Development Committee. The old zoning had no height limit and any new proposal had to be reviewed for approval. What the 20-story height limit now does is that any building proposed that is under that limit immediately is approved. It’s like setting the boundaries for development ahead of time and if new proposals fall within that boundary, faster approvals take place. The opinions were all over the place. Residents in The Dawson wanted something that matches their building, something with a 7-story maximum. A representative from the Downtown Raleigh Alliance sees the density as supporting more retail, more restaurants, and brings us that much closer to actually getting a grocery store in downtown Raleigh, something that at this point is the holy grail in some people’s eyes. 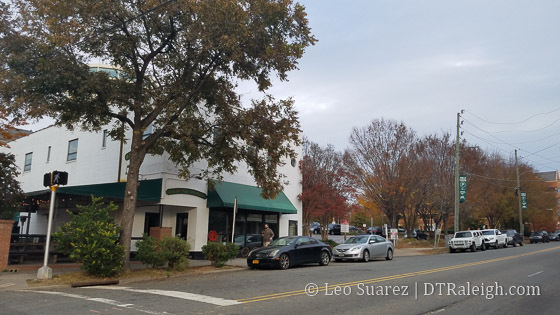 The owner of the building, more like a historic house, at the corner of Hillsborough and Harrington, where the law firm is located, even said he saw the rezoning as a “down-zoning” as it was made clear that the previous approval here was a 32-story building. That was approved back in 2006. In my opinion, I agree that affordable housing is very important. So let’s talk about it. Where is the “Downtown Affordable Housing Action Plan” or something similar? Who, or what group, can spearhead that effort? We should get that initiative rolling so that when future opportunities on city-owned land come up, just like the one here at 301 Hillsborough, council will know what to do and have the confidence of modifying plans so that they benefit the community in a positive way. What shouldn’t happen is rush to form a plan at the last minute just because we see an opportunity. Since that plan is not in place, let’s not slow things down and I’m happy to see the council approve this rezoning. As a side note, it’s unfortunate that councilor Eugene Weeks, representing District C where the most affordable housing in the city is located, didn’t say a word during the 1 hour and 15 minutes that this discussion took place. Sure, 301 Hillsborough is in District D but I almost look to him for guidance seeing as he should have the most experience with tons of city-owned properties turned affordable housing taking place in east and southeast Raleigh. There’s a nice cluster of rezoning requests at the city right now that could bring new development to where there is currently none or very little existing activity. The RalCon commenters have been all over it recently so I wanted to bring it up top for more exposure. 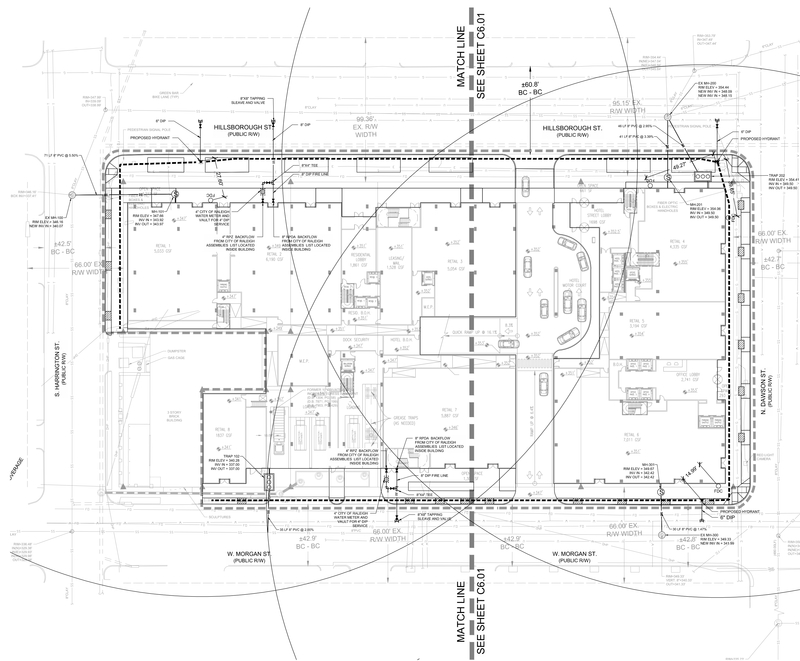 Rezoning requests don’t sound exciting but it does fuel the rumor mill. While I enjoy speculation at a “for entertainment purposes only” approach I think we should lay out what’s on the table and what the comprehensive plan says about these areas. To date, none of the requests discussed here have been approved or denied. They have only been submitted. Case number Z-038-14 has been discussed on the blog before. It’s the site of the parking lot used by Campbell Law school along Dawson Street between Morgan and Hillsborough Street. If you need a refesher, we talked about it back in October of 2014. The request is for a DX-20-SH. In short, that means Downtown Mixed Use zoning with a 20 story max height and a shopfront frontage. The city government has been entertaining at least two “substantial and serious offers” from private developers for the 1.2-acre property. Now the city has moved to apply a new set of development rules to the land, potentially clearing the way for a private construction project. 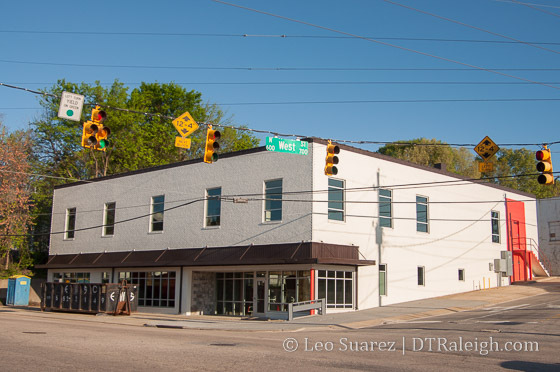 *Raleigh files to allow 20-story buildings at 301 Hillsborough St.
On the opposite side of the coin, there are a group of residents that are against the rezoning. The Central CAC has voted against this rezoning in a recent meeting. 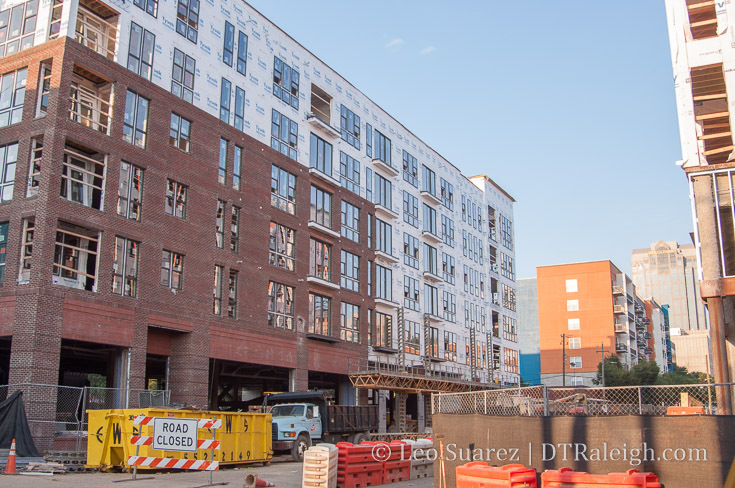 The article also states that The Dawson residents are against the rezoning and instead want the height to be capped at 7 stories instead of 20. The last piece of this story that I’ll share is what the comprehensive plan says about this area. Here are quotes from it that seem relevant. 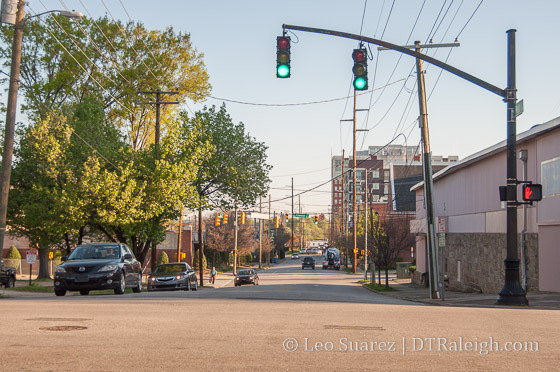 Highest density development should occur along the axial streets (Hillsborough Street, Fayetteville Street and New Bern Avenue), major streets (as identified by the Street plan), surrounding the squares, and within close proximity to planned transit stations. Case Z-39-14 is right next door and is for the same DX-20-SH zoning. This would be the western half of the same block that has 301 Hillsborough mainly along Harrington Street. This seems like the same story as before. The same height concerns are mentioned by the residents at The Dawson. The same comprehensive plan applies to this lot as does 301 Hillsborough. 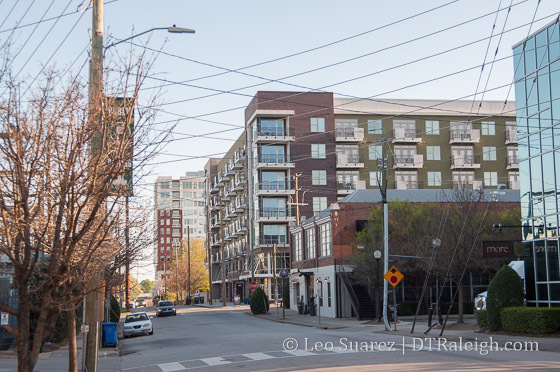 Moving off Hillsborough Street, case Z-42-14, is a request for a DX-12-UG-CU zoning. If you’re following along, that’s downtown mixed-use at 12 story maximum with an urban general frontage, conditional use. An urban general frontage means that while the building is up against the sidewalk, ground floor retail space may or may not be there. It allows for walk up townhomes, an office lobby, or something similar. The property in question here is where the Baptist Headquarters Building is located next to the McDonald’s facing Wilmington Street. 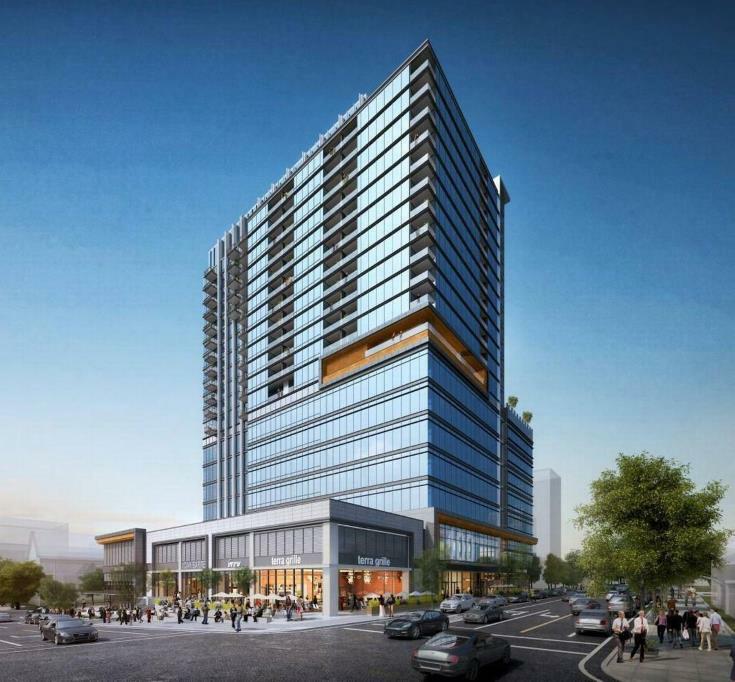 According to the TBJ article, plans for a hotel are in the works and the rezoning would allow it to be as tall as 12 stories. 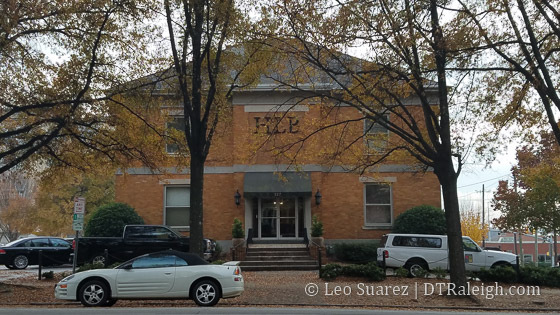 A hotel developer has submitted plans with the city to rezone a piece of property within the Prince Hall Historic District in downtown Raleigh for a hotel and office building that could stretch as high as 12 stories tall. Taking a look at the comprehensive plan, this area seems to have the same density and urban core concepts as the rest of downtown. Close by is the start of an identified transition area, one that steps down towards the nearby neighborhoods. The image below shows a piece of the map whereby the areas in blue have been identified as transitional. The map is just a guide however and with it being in a historic district I bet this topic gets heated. Case Z-1-15 involves quite a few properties in the warehouse district near Union Station. 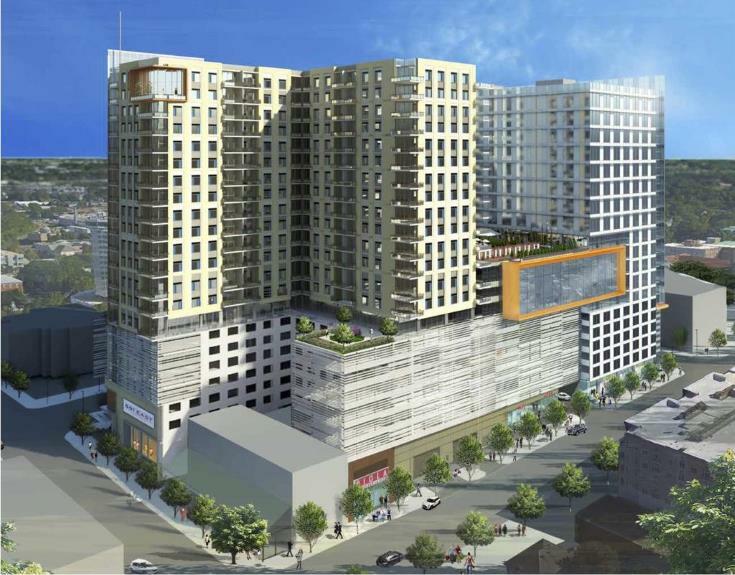 This request is for DX-20-CU, downtown mixed use at 20 stories maximum, conditional use. 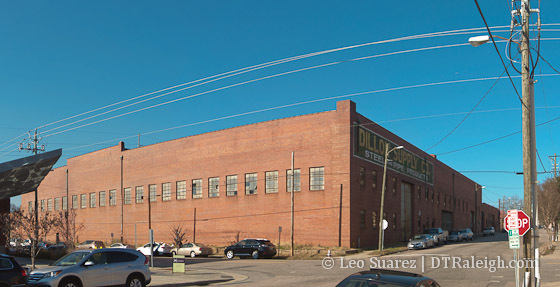 The grandest building here is the Dillon Supply Warehouse, pictured at the top of this post, which is a real cornerstone of our warehouse district in terms of size and potential. Just like the other areas mentioned in this post, this area again is identified as needing high-intensity development as it is in the downtown. The developer here seems to be Kane Realty Corp, the group behind North Hills. If you take a look at the zoning request the “neighborhood” meeting was held up at the North Hills offices with only 4 Raleighites attending. The writing is on the wall that the city wants this area to be hugely successful due to the upcoming Raleigh Union Station project. (set to break ground in less than 10 weeks) If you attended enough of the Union Station meetings, there is also another component that is seen as hugely needed adjacent to Union Station. Lots of new parking was seen as a huge need here and I wouldn’t be surprised if a big parking deck component is put in this area to accommodate that.